ZALEC, SLOVENIA - 1. 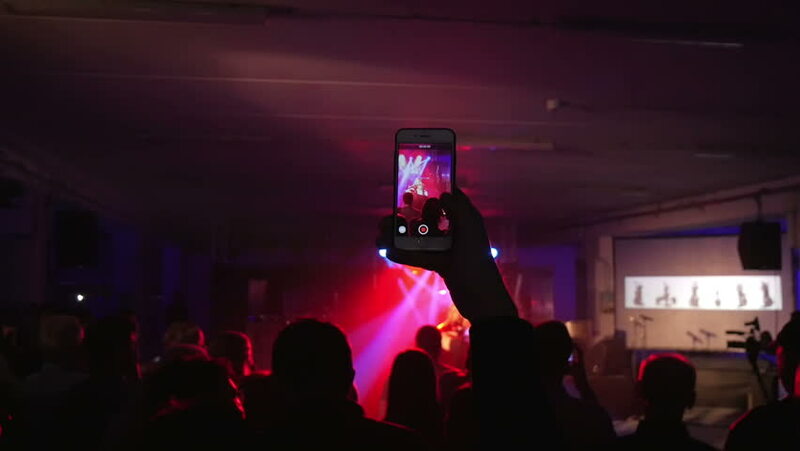 DECEMBER 2017 A visitor at the event records with his cell phone a singer who is performing on stage. hd00:12Sofia, Bulgaria - 18 September 2016: outdoor, open, free, concert friends at rock festival, beautiful girl sitting on shoulders of guy, lot of people having fun, backlight in Sofia 18 September 2016. 4k00:28Moscow, Russia - November 19, 2016: People attend the Gamefilmexpo festival dedicated to video games, TV series and comics, anime, manga, cosplay. hd00:07MOSCOW, RUSSIA - MARCH 30, 2015: Model walk the runway for Yez by Yegor Zaitsev collection show, Mercedes-Benz Fashion Week Russia.